Anti-bacteria cloth: Block the pathogenic mold before entering the HEPA layer and inhibit its growth rate. 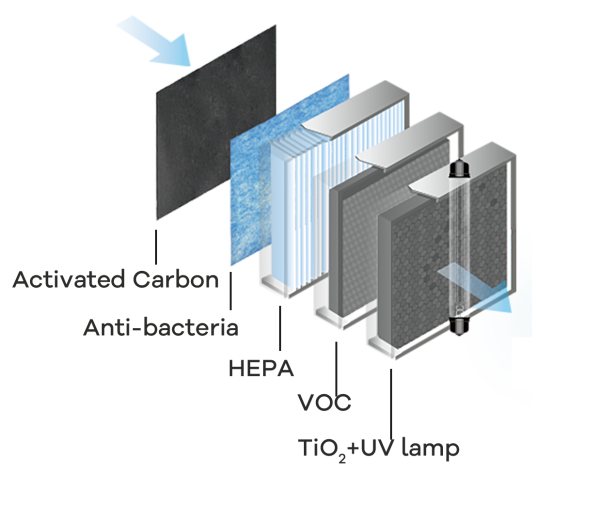 HEPA filter layer: H11 HEPA filter, with both efficient filtration rate and low noise, is used to effectively filter out various fine aerosols, molds, dust mites, soot, dust, pollen, etc., which are the invisible allergens in the air. It can filter out 99.9% of PM2.5 particles and bacteria. TiO2 Photocatalyst + Ultraviolet LED: With an appropriate proportion of activated carbon to the photocatalyst filter layer can increase the efficiency of photocatalyst sterilization. 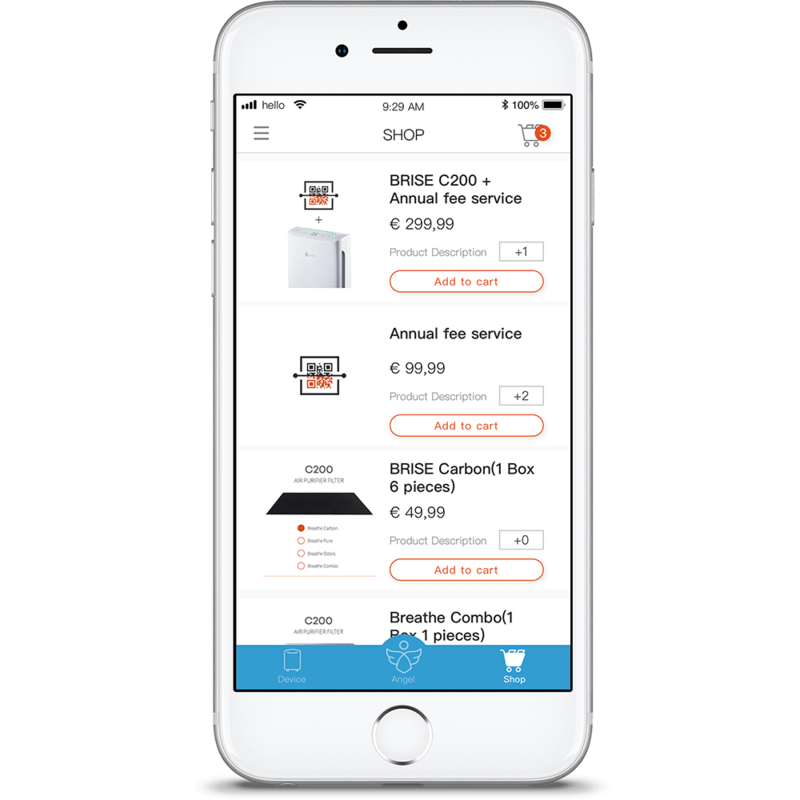 Purchase an annual fee service card and use the BRISE APP to enable the service. When the filter lifetime is almost the end, the APP will automatically notify you. With your confirmation, BRISE will send the filter to your address in a couple of days.